Register now to Spend a Summer Day at Penn State! The official start of summer is just a few days away and we’re gearing up for Spend a Summer Day, the largest event that Undergraduate Admissions does all year. We will welcome nearly 10,000 visitors to University Park over the course of five days – we just about take over campus! With such a large turnout, we really pull out all the stops for these events. Those who attend have the opportunity to meet with faculty and academic advisers from nearly all of our majors, meet with Housing and Student Aid, and take a campus tour on what will hopefully be a beautiful summer day. 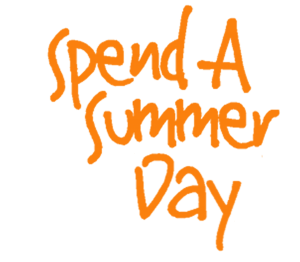 This year’s Spend a Summer Day events will be held July 25, July 28, July 31, August 1, and August 4. Visit sasd.psu.edu to learn more or to register. We hope to see you on campus! This entry was posted in Admissions Events, Spend a Summer Day, Uncategorized and tagged sasd14, uaoblogs. Bookmark the permalink.